Last month I commented on and reviewed the Horton Vineyards Pinotage 2005. This was their first varietal bottling of the popular South African grape variety, which is a welcomed rarity here in Virginia. Since that time I have received a number of emails from readers interested in local Pinotage, as well as South African Pinotage. In response to that I would like to share two more local producers who are doing a 100% varietal bottling of Pinotage that you may not be aware of. The first source, a new winery located in Lovingston, Virginia, and aptly named Lovingston Winery, is currently selling their 2005 vintage, which is also their first. One of their winemakers, Stephanie Puckett, who shares duties with South African winemaker Riaan Rossouw, informed me that the Pinotage 2005 is one of their best sellers and that there are not many cases left. Lovingston Winery opened doors for tasting early this year and is on the Monticello Wine Trail, and from looking at the wine list, Dezel is also interested in trying their Petit Manseng – one of my favorite summer time varietals that I’m glad to see more plantings of here in Virginia. The second source, Grayhaven Winery, is located in Gum Springs, Virginia and is currently sold out of their first Pinotage 2005 vintage and awaiting their 2006 release early summer. Be sure to check out Grayhaven’s events calendar for their South African Food and Wine Festival in July. Grayhaven winery is also a member of the Heart of Virginia Wine Trail. For those readers new to Pinotage, I recommend seeking out the inexpensive, rustic and smoky signature South African examples, as well as the more elegant and pricier bottles to see the range of style and diversity in Pinotage. I would also like to thank Peter May, founder of The Pinotage Club, for tipping me off to these finds and renewing my interest, not only in the rustic bargain brands, but the more elegant examples of Pinotage, from not only South Africa, but California and New Zealand – and even our very own Virginia. 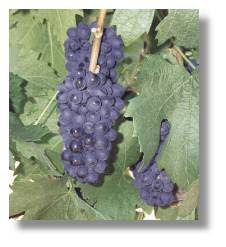 I think, like Petit Manseng, Pinotage may popularize in Virginia since the grape appears to take a likeness to Virginia’s soil and climate type. In the near future I look forward to visiting these wineries and tasting their Pinotage examples. 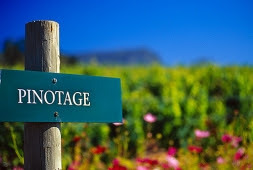 For those truly interested in the popular South African cross grape variety, I suggest visiting Peter’s wine blog, The Pinotage Club – the name says it all friends! Stay tuned, a winery visit where Chardonnay is the focal point coming next. 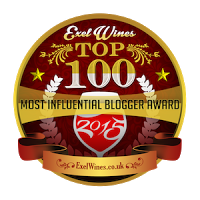 Click Here to vote VA Vine Spot as your wine favorite blog - You can vote 1x per day! Happy Sipping Friends - Thanks for your support and kind emails !